The second round of the SISDL Athletics saw another very impressive performance from the Worth athletes. There were many excellent results. 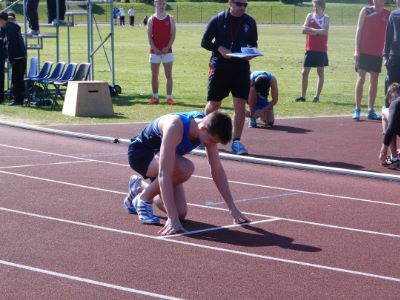 The stand-out performances in the Juniors were Daniel Tewogbade winning the High Jump, Ada Adaeze won 100m Jessica Hennessey won the 200m and Chris Ritchie won the 1500m. In the Inters Dan Persad winning Hurdles, Kitan Ojo winning the Long Jump with a new record, Elizabeth McCarthy won the girls Javelin, Ollie Davies won the 200m. We had a 1,2,3 in the 800m with Dillon Quirici, Colm Geraghty and Leo Camilleri. Emil Farr won the Senior boys 800m and all of the boys teams won their respective 4x100m relays. This was a tremendous effort and well done to all of the athletes that competed. Below is a link to the results but they are not all accurate at the moment!